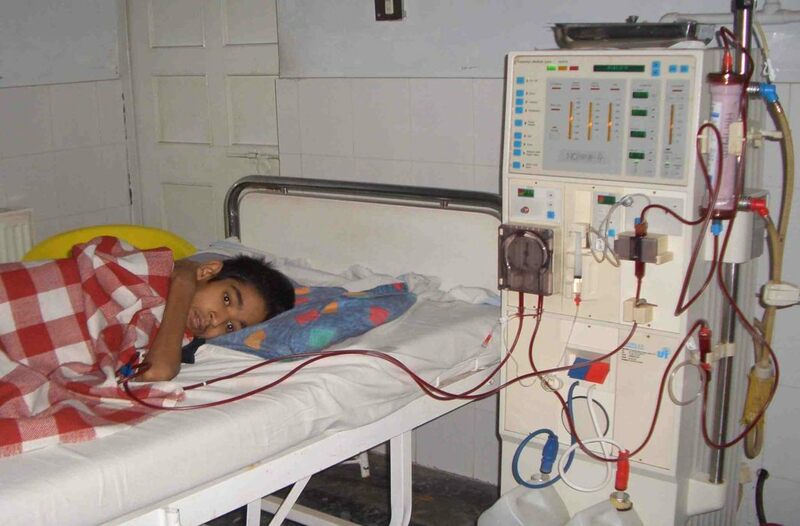 In a country where donor kidneys are in short supply, some questions are often asked. One of them is whether Finance Minister Arun Jaitley, who was recently admitted to AIIMS for a kidney transplant, would have to undergo the same procedure as the rest of the country under the Transplant of Human Organs and Tissue Rules, 2014. There was a precedent—in 2016, Minister of External Affairs Sushma Swaraj got a kidney within a matter of weeks (see box). She was admitted to AIIMS on November 7, 2016, and her surgery was performed successfully on December 10. More curious was the fact that there were no related donors, which, according to the Act, could be a spouse, mother, father, daughter, son, grandmother or grandfather. A distant relative, legally classified as an unrelated donor, came to her rescue. While people with clout have to wait for just a few days for a kidney, it can take weeks, even years, for a commoner to get legal clearances in this regard. Are the laws different for the powerful and for commoners in India? Just as Jaitley announced the news of his illness on Twitter, one Sunanda Brahma, who has been on dialysis for over four years, took to Facebook to reveal her struggle. She said in her post: “Today I feel that once again my nose has been rubbed in the ground and I have been told that we live in a country where we do not have an equal right to live and that there are different strokes for different folks.” A few months after her kidney failed, an unrelated donor from a weaker section of society offered her a kidney. In return, Brahma had to look after the education of the donor’s children. Her application was rejected. And now, due to complications, she is not eligible for a cadaver organ (from a brain-dead person) either. “My point here is that how do people like Sushma Swaraj and Arun Jaitley go through transplant surgeries in a week’s time with unrelated donor kidneys arranged, doctors ready and waiting to do the surgeries, authorities giving clearances overnight?” she posted. The authorisation committee’s work is to ensure that there is no commercial intent in the donation. A non-relative donor can be considered only if one is willing to offer a kidney out of “affection and attachment” to the donee, and not for money. It is because of this provision that unrelated donations are viewed with suspicion. While surgery for a kidney transplant from a related donor is cleared at the hospital level, that involving an unrelated donor requires clearance at the state level. Each state has its own rules and these range from seniority on the waiting list to complex calculations that take into account the severity of the disease. The authorisation committee, formed under the Act, checks the background and the relation of the unrelated donor to the recipient. It also has to check the socio-economic background to ensure that the procedure is not taking place for monetary compensation. It even checks the donor’s income tax returns. If the donor is from a state other than the one where the surgery is being performed, one needs a clearance from the donor’s home state authorisation committee too. In another case, Mumbai-based lawyer Nitin Vhaskar was granted permission by the National Organ and Tissue Transplant Organisation (NOTTO), the central government body in charge of the country’s deceased donor transplant programme, to bypass the waiting list for a kidney in 2016. A dialysis patient, Vhaskar was approached by organ donation counsellors when his brother, Sandeep, was declared brain-dead. He consented on the condition that he receive one of the kidneys. The matter immediately came up before the Zonal Transplant Coordination Committee in Mumbai who approached NOTTO for advice. It was past midnight when the organisation called and granted permission for the allocation and the transplant was carried out. The complexities of the system have sometimes forced people to approach high courts. Forty-six-year-old DK Ravikumar’s application was rejected by the health and family welfare department on the ground that he had failed to establish the relationship between the donor and donee, and hence there was a commercial motive between them. Ravikumar, a farmer from a village in Maddur taluk of Mandya district, Karnataka, was afflicted with dengue in 2013. The medication given for its treatment resulted in both his kidneys failing and he was advised to get a renal transplant. However, when he found a donor, his application was rejected by the authorisation committee on the suspicion that the donor was doing it for money. Ravikumar then moved the Delhi High Court in January 2018 against this order and asked the Court to grant permission for a kidney transplant. The Court established that the donor knew the donee well and asked the health department to grant permission on April 18. While Vhaskar and Ravikumar were lucky, Nahid Anwar lost her husband in 2017 though his name was included in the hospital’s list for kidney transplant a year earlier. And there is the well-known case of former Maharashtra Chief Minister and Union Minister Vilasrao Deshmukh who died of multiple organ failure in Global Hospital in Chennai in 2012. A delay in harvesting and transplanting an organ led to his death. “Had we got a liver, he would have had a chance. Last night, a brain-dead donor died before we could transplant. Three donors were available today, but it was too late,” Dr K Ravindranath, chairman of the Global Hospital Group, told NDTV. And that is the main problem in kidney donation—the abysmally low rate of donation in India. Nearly 2,20,000 people await kidney transplants at any given time in India, of whom only 15,000 end up receiving a kidney. Over five lakh people die annually, waiting for a transplant, despite their name being on the waiting list. The rate of 0.5 donors per 10 lakh people in India is one of the lowest globally. Growing anomalies in the system make the situation worse. On April 17, 2018, Goa Health Minister Vishwajit Rane ordered an inquiry into the transfer of a brain-dead man’s organs which had been harvested at a private hospital in Goa to Mumbai instead of being donated to a patient waiting for transplant at Goa Medical College and Hos-pital (GMCH) nearby. Dr Astrid Lobo Gajiwala, the director of the Regional Organ and Tissue Transplant Organization, Western Region, Mumbai, wrote a letter to Goa’s health services director, Dr Sanjiv Dalvi, over the need to set up a State Organ and Tissue Transplant Organisation (SOTTO). He stated that without SOTTO, the state does not have the approved list of kidney patients waiting for transplants. The state also does not have an emergency cross-matching facility. In a similar incident, suspicions arose when Tamil Nadu politician V Sasikala’s husband, M Natarajan, underwent dual organ transplant for his kidney and liver from an unrelated donor who was airlifted from Thanjavur to Chennai. The donor, N Karthik, 19, suffered severe head injuries and was admitted to a government hospital in Thanjavur. Later in the night, he was airlifted to the hospital in Chennai where Natarajan was admitted. Karthik was declared brain-dead. The incident raised several questions from political parties and doctors—if Sasikala jumped the queue, how could the family of Karthik, who earned a living putting up banners of political parties, afford to airlift him? Was this a case of commercial donation? In countries like Singapore, Australia and Iran, financial compensation for living organ donors is legal. Hence, the demand and supply are almost on a par. Samajwadi Party leader Amar Singh got his kidney transplant procedure done at Mount Elizabeth Hospital and Medical Centre in Singapore in 2009. Reports stated that an unidentified party worker close to him was the donor. Experts in India do not support monetary exchange as they think it might increase the illegal trade in the country. Bajpai said: “This will become a business just like the exploitation of surrogate mothers in India.” But the matter has come up for discussions. In April 2018, two petitions came up for hearing in the Punjab and Haryana High Court in which one of the questions considered was whether organ do-nation for monetary consideration can be carried out under a regulated system to reduce mortality. While hundreds have made it to the waiting list and thousands more have to be registered, there are many who will die before they can disengage themselves from the complexities of the system.